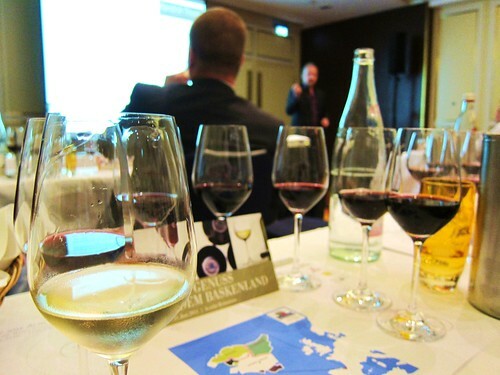 Last tuesday I attended an event in Frankfurt showcasing wines and delicatessen from the Basque country. 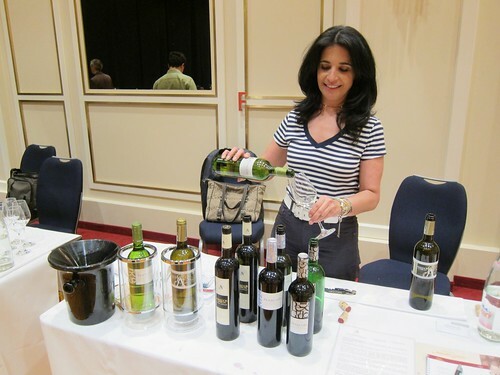 Besides the fact that it was as usual great fun to taste many different wines, I have to say that it was quite an informative event since I learned many things I didn’t know about the Basque wines, as well as about Spanish wines in general. First of all, I never realized before, that one of the 3 sub-regions of Rioja, the Rioja Alavesa, is actually part of the Basque Country, at its very Southern tip. But I guess most people usually think of Rioja Baja and Rioja Alta when confronted with this wine region. But why is it important to differentiate anyway? Well, simply because there are differences. While the allowed grape varietals and the winemaking methods are basically the same, there are significant differences when it comes to climate. 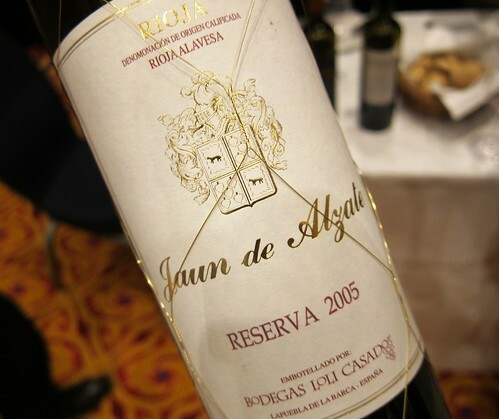 In Rioja Alavesa wines are growing in higher altitudes and are more under the influence of the Atlantic. Thus a slightly cooler climate which translates through a certain freshness compared to the wines of Rioja Baja and Alta. But it was something else that caught my attention. 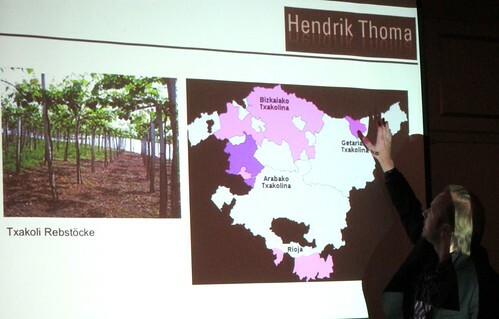 In Rioja Alavesa, as in the rest of Rioja, there are many 100% Tempranillo wines, but I learned through a short presentation with Master Sommelier Hendrik Thoma, that some wines are blended with Graciano, which plays a bit the same role than Petit Verdot in Bordeaux. 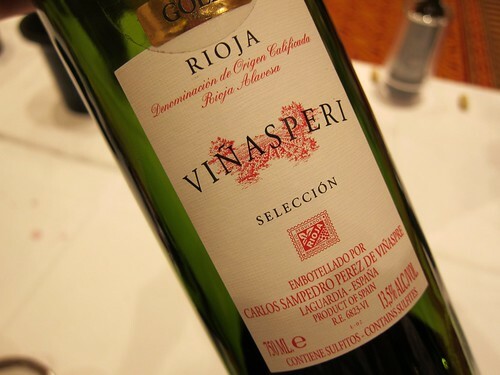 It is a perfumed grape that adds a kick of spice and also a good dose of extra-freshness through its pronounced acidity. From then on, I was on the lookout for these particular blends within the wine stands. I found some first specimen at Vinedos y Bodegas de la Marquesa Valserrano (What a name. Let’s just say Valserrano). Not only does the Reserva and the Gran Reserva of the estate contain 10% of Graciano in their blends, which lends them a genuine elegance and freshness..
…but they also offer a 100% Graciano wine, which is quite a rare thing. A wine that appears very juicy with an obvious acidity. Pablo recommends it as a match for lamb roast or other meats where the wine will cut nicely through the fat. 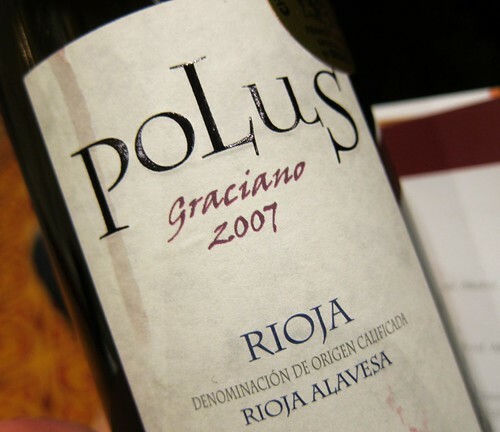 Another possibility to blend Graciano might be the one showed by this 2007 Polus Graciano from Bodegas Loli Casado. Here the Graciano grape takes the lead with 85%; the rest is filled up with Tempranillo: Reversed roles! The wine spends 14 months in Barriques and displays a beautiful spiciness and freshness. But also the more classical line Jaun de Alzate is very convincing. This crianza sees 5% Mazuelo and 5% Garnacha added to the Tempranillo. It spends 18 months in the barrel but oak is barely there. A very joyful, yet not too simple crianza. The Jaun de Alzate Reserva appears more classical, but an equal addition of 5% Mazuelo and Garnacha add quite some vivacity. The wines of Bodega Amador Garcia already caught my atttention in the short masterclass held by Hendrik Thoma..
…where we tasted this 2005 Amador Garcia Crianza, a blend of 95% Tempranillo with the rest being Garnacha and Mazuela, all from 30 year old vines. With a few years of maturity it shows a beautiful balance with intense fruit and a very appealing mint-like note. Again: freshness! I suppose it comes from the blend! Another favorite comes from Bodegas Carlos San Pedro Perez de Vinaspre (they like tongue twisters in Spain, dont they?). While I like their Crianza which shows a great and voluptuous fruit intensity due to the use of the Carbonic maceration method, their 2005 Vinasperi Seleccion shows that excellent wine can of course also be made with 100% Tempranillo. It is elegantly balanced, with expressive fruit and appealing maturity notes reminiscent o mint. 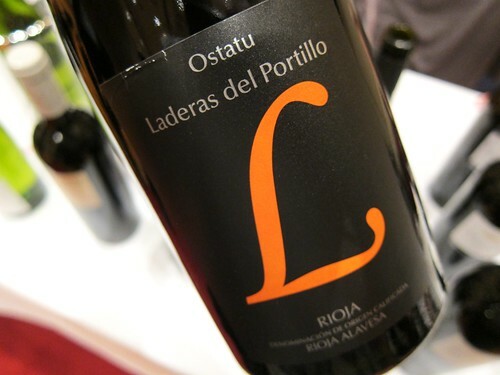 Then, before I move on to the whites, a Bodega that seems to work hard on the terroir theme and in that sense attempts (with success) to link tradition with modern winemaking – Bodegas Ostatu is a family-run winery where the young generation has just taken over. 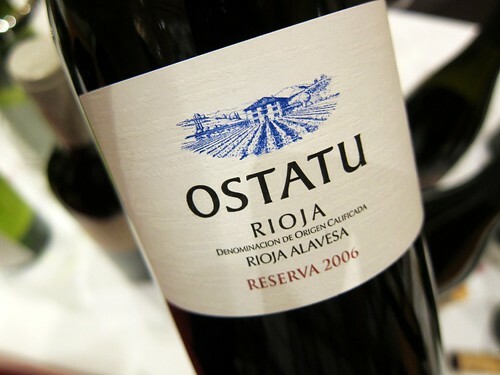 The Ostatu Reserva is subtitled ” Evolution” in the catalogue, maybe because it ages in French oak instead of American. It shows intense colour as well as dark fruit aromatics with a good deepness. Malolactic fermentation made this wine soft and round while not taking away its inner tension. Nice effort. But I was truly impressed by their Laderas del Portillo, a wine stemming from 3 distinct Tempranillo vineyards which is supposed to reflect Terroir more than the traditions of Rioja. Tempranillo Vines are up to 80 years old and growing on the typical chalk soils of the Rioja Alavesa. It is a wine of big weight, volume and intensity with an elegant tannic structure and compelling fruit aromatics. Far away from classic Rioja, maybe closer to some wines from Southern France. Then there were also the typical white wines from Txakoli in the North of the Basque country. I was already familiar with these since we travelled to San Sebastian 2 years ago and had a feast of Pintxos, where Txakoli wines are typically served, being poured from height into small cups. Txakoli are made of the grape Handarribi Zurri and are characterized by their poignant acidity and freshness. The aromatics sometimes remind of Sauvignon Blancs. 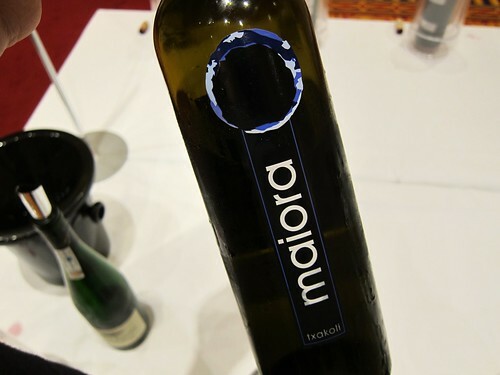 This 2010 Maiora by Txakoli Oxinbaltza is aging on its lees. Nose is grassy and truly reminds of SB. On the palate, a fresh acidity is on the fore, but there also is slight complexity brought by mineral notes and a certain spiciness. Also, with 12,5%, definitely a summer-friendly wine! A small but very informative event comes to its end. 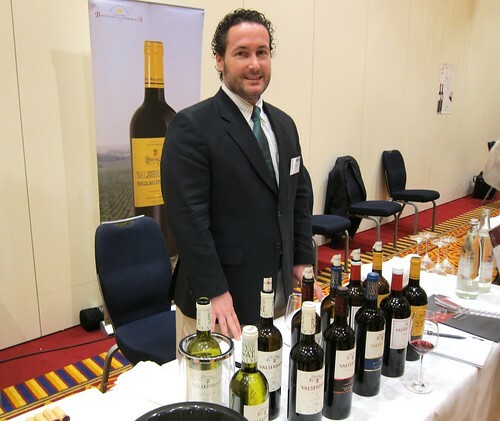 It was a pleasure to meet you at the RIOJA ALAVESA wine tasting in Frankfurt. We all enjoyed it very much and hope that the wines of http://www.BODEGASAMADORGARCIA.com will be a success. Thanks for tasting with me and for the picture! Susana, it was a pleasure meeting you as well. Wishing your Bodega good luck. 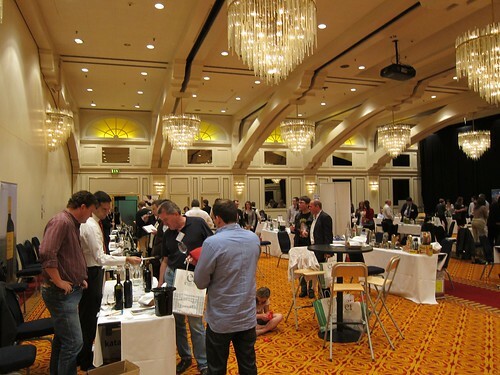 These wines definitely deserve getting much more attention in Germany. Cheers!